Sunny one bedroom well appointed unit with the beautiful marine parade beach just a stroll down the road. 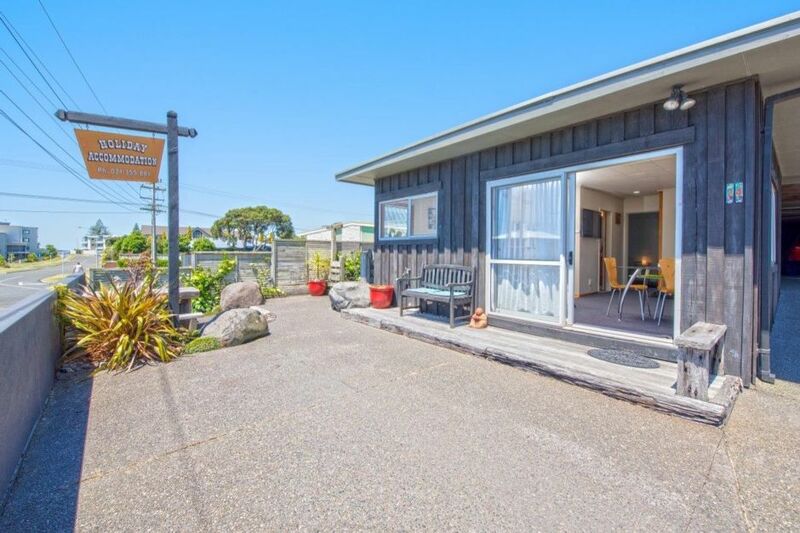 Quiet location but close enough to all the action that down town mount maunganui has to offer. Central parade Mt location. Sunny one bedroom well appointed unit with the beautiful marine parade beach just a stroll down the road. You can see the ocean from the unit. A 300m stroll and you will be at the popular Clyde St beach. The beach stretches North past Tay St to Mt Maunganui Main Beach and South to Omanu beach and further. Perfect place to stay. Cosy, clean and comfortable with all the necessities provided. Shkrt walk to the beach.Thanks for an enjoyable stay. This cottage has a great location which is close to the beach and all of the action of the Mount but further enough away to remain quiet and peaceful. It has all the amenities anyone could need and having a washing machine was a bonus. A little small for four people but very cute and comfortable, I would definitely recommend this property to people venturing to the Mount. Well set up, 2 blocks back from beach, with SKY! Booking was the hardest part. A very comfortable little unit, well equipped with everything we needed. The internet was not great, and the host did mention that in the booklet provided but you know what it didn’t matter I shouldn’t be on my ph anyways so I had a well deserved break from social media. Location was perfect. Would definately visit again. close to the water and café.